Your art booth can have a huge impact on the impression you make at craft shows - and not just from a customers' perspective. Your booth can affect other craft artists as well. If you want to make a good impression on show organizers so you get invited back, and build positive relationships with your fellow craft artists, you need to ensure your booth is in line with show regulations. Rules vary from show to show, so it is crucial that you carefully review the rules or guidelines that you will receive with each show you are accepted into. There are, however, some fairly common rules that will apply to most shows you attend. 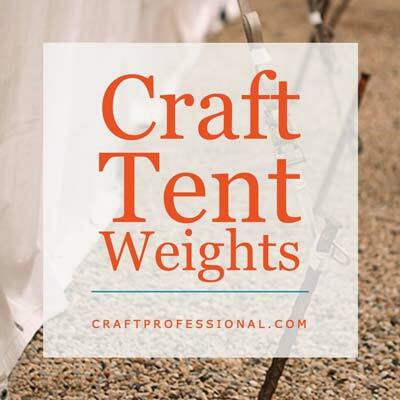 Keep these rules in mind when you buy your craft tent and plan your displays, and you'll create a booth that will fit most show regulations most of the time. You will be provided with a specific area for your booth, and you must stay within that area. 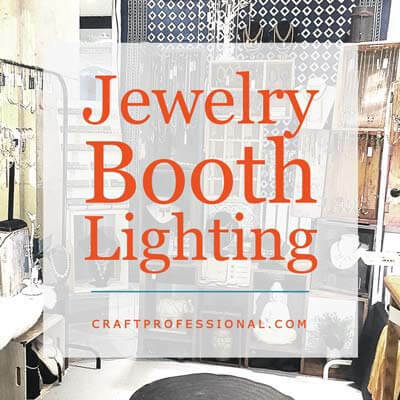 The standard booth size for art and craft shows is 10 x 10, so you should design a booth that fits within that space, and if you are buying a craft tent, you will need a 10 x 10 canopy. This size can occasionally vary, so be sure to check the guidelines for each show you attend, and try to make your booth design as flexible as possible so it will fit in a variety of spaces. Good show organizers will not allow exhibitors to display outside of their specific area because it can infringe on the space allowed for neighboring booths, and a booth that is too big can disrupt traffic flow, look unprofessional, create safety hazards, and detract customers from neighboring booths. Some shows have rules about height requirements for your art booth (maximum and minimum). Between seven and eight feet is a fairly standard range. Even if a show doesn't have rules about height, it's still wise to keep your craft booth within that range to ensure it is inviting to customers. Some show organizers will warn you that your art booth layout must be somewhat flexible to allow for irregularities in the space you are allotted. For example, indoors, there may be a pole in your allotted area, and outdoors there may be a slope or a tree in your space. Using display furniture that features a flexible, modular design will allow you to set up in several different configurations so you can deal with space irregularities you may encounter. Some, but not all, shows require you to use side walls in your booth. The use of side walls allows you to create your own specific retail area and clearly distinguishes your space from your neighbor's space. If your country requires vendor permits for retail sales, the show organizers will require you to display your vendor permit somewhere in your booth. If you don't have a vendor's permit, visit your local business development office or Chamber of Commerce. The staff there will be able to tell you how and where to obtain a vendor's permit in your area. Some shows specify that your craft tent must be white. If you are looking at purchasing a craft tent, a good quality white canopy tent is typically your best option. Show organizers may or may not provide electricity. You may automatically be allotted a certain wattage of electricity to use to light up your art booth, or you may have the option to purchase a specific wattage of electricity, or, particularly if it's a outdoor show, you may not have access to electricity at all. If you are using electricity for your show lights, be sure to carefully review the rules around electricity. In addition to the wattage you are allowed, there will probably be rules about the use of power strips and extension cords. Exhibitors are usually required to use heavy duty three pronged cords. Also, there may be regulations about how cords must be secured to avoid creating a tripping hazard. Even it there's aren't specific rules around securing cords, do be on the lookout for any trip hazards created by your cords and secure them. The last thing you want is a customer tripping over one of your extension cords and hurting themselves or causing your displays to topple. Ensure any fabric that is used in your displays and your tent is flameproofed. Often, when you buy a craft tent, you will receive documentation proving that the canopy fabric is flameproofed. Keep this documentation and bring it to shows in case you are asked to provide evidence that your tent is made with flameproofed fabric. 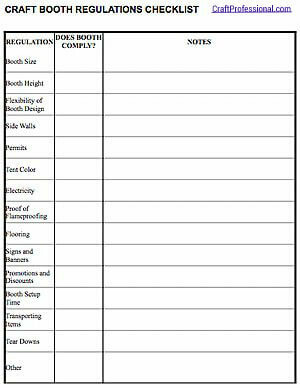 At some shows you'll need to provide flooring for your area. At others, flooring may be optional, but there may be rules about the type of flooring that is allowed. Many art shows have rules about the types of signs you can or must display. You may be required to display a sign with your company name, and you will likely be required to display your booth number. Both your company name and booth number make it easier for customers to find you, so it's to your advantage to display both. There also may be rules regarding the types of signs that are allowed. Sometimes specific materials (like vinyl) are not allowed to be used in your signs, and there may be limits to the size of signs you may display. Some craft show organizers do not allow you to post signs advertising sales and discounts, so "Buy One Get One Free" or "Special Show Price - 20% Off" or other similar signs may not be allowed. When organizers prohibit this type of promotion, they are trying to protect the value of handmade items at the show and avoid devaluing items. Don't be discouraged by this type of limitation. It's a good indication that you are attending a show that respects the value of handmade items, and organizers are trying to protect that value by maintaining reasonable prices and avoiding a bargain hunting atmosphere. You will be provided with a specific booth setup time. Be sure to create a booth that you can comfortably set up in the time allowed. You may forfeit your booth space (and your booth fee) if you do not arrive by a specific time. If you encounter any difficulty on the way to the show (your car breaks down or you get stuck in unusually bad traffic) contact the show organizers to let them know what's going on; they may be able to allow some flexibility with the set up time, and you will maintain a positive relationship with them for future shows. You may or may not be able to drive right up to your booth area. Ensure every part of your art booth can be carried or wheeled in case you need to carry things quite a distance from your vehicle. A dolly or hand cart is very useful to help you transport items from your vehicle to your designated area quickly and easily. Most shows do not allow you to tear down your booth early. No matter how tired you may be or how slow things may get at the end of the day, do not start to tear down your booth before the end of the show. Early tear downs look bad to customers; it signals to them that the show is ending and may cause them to leave or stop browsing the booths. It wastes valuable time that you paid for and is disrespectful to other artists at the show. 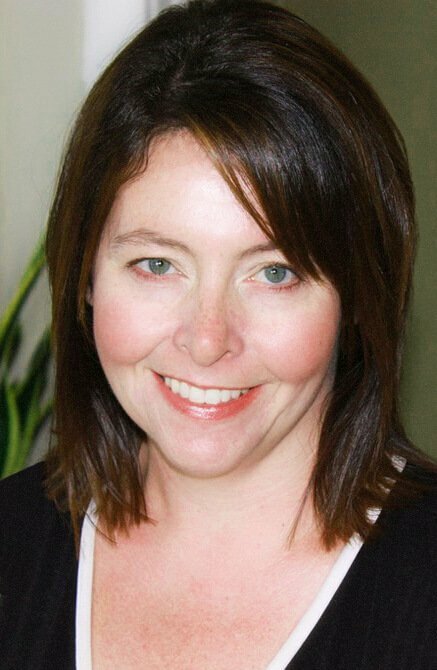 Rules help to make certain you and your customers have a great experience at each show you attend. 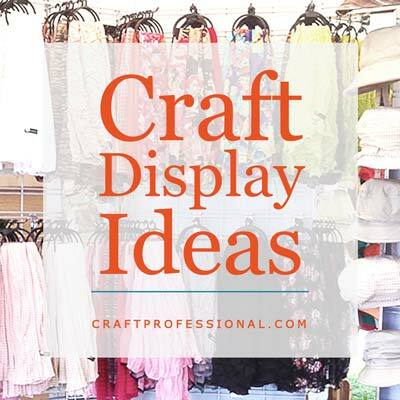 Following these rules will ensure you are being respectful to customers and other craft artists, and you make a good impression on and build a positive relationship with show organizers. 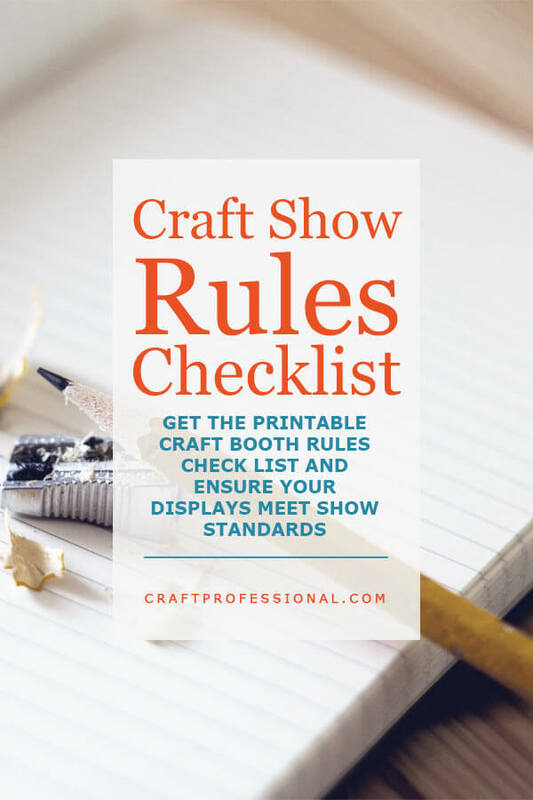 The free Craft Booth Regulations Checklist will help you keep track of rules for each show you attend and make sure you are in compliance with those rules.